You guys already know, I love music festivals. 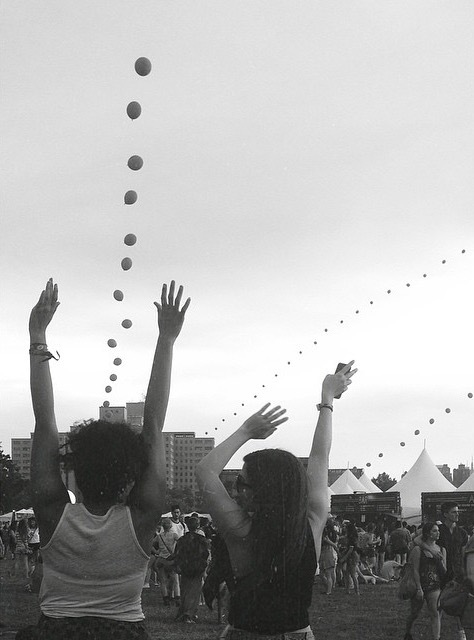 When I went to Gov ball in New York, we extended our trip by a few days to explore the Concrete Jungle. Now I feel that music festivals are a great way to get out and visit somewhere new, while also enjoying several live acts a day. From dancing away to OutKast or vibing Cashmere Cat, I've experienced some of my favourite memories at music festivals. While 2017 might be a slow year for me, I hope this summer and fall I can get out to a few local and international festivals. Keep reading for the music festivals that topped my 2017 Bucketlist. Shipsomnia Barcelona, Spain (June) After checking out the itinerary of sailing from Barcelona to Ibiza, I was hooked. Deep house and party DJs top their lineup list along with a range of activities on the ship like Yoga and Q&A sessions with the DJs. I've never been on a cruise before and I wouldn't mind making this my first. Osheaga - Montreal, Canada (August) Come on! My favourite city (Montreal) and some cool alternative artists? Oshega of late has become the music festival to go to if you live in southern Canada, especially Ontario. While we have a few fests that pass through Toronto, Osheaga's lineups are always more interesting to me than what I've seen at festivals here. Hungary has been on my list ever since reading 'Paris, a Love Story' (it's about the incredible Hungarian humanitarian and Journalist Kati Marton who planted the seed of European wanderlust in my heart). What I especially loved was that Sziget Festival's after-movie wasn't just blonde girls in short shorts rocking butterfly wings, but a mix of what seemed to be a really fun time beyond just the musical acts and fireworks. Iceland Airwaves - Reykjavik, Iceland (November) I've been Iceland-obsessed since I watched my first Icelandic film, 'Jitters' as a teen. I wished my layover there was longer last summer, I would have loved to explore Reykjavik. With smaller acts headlining the festival (so far) it's the perfect chance to discover new music and the Nordic country. My girl Rya (of Style Controversy) put me on to visiting Bulgaria. This festival takes place in the mountains with an incredibly breathtaking view. It seems much more communal than bigger festivals and that it would be a really relaxed time. Are there any music festivals you want to go to? Or are there any that didn't make my list but should have? Comment to let me know!